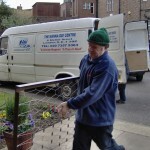 We provide low cost furniture to those who have just moved into accommodation and to those on low incomes who cannot afford to buy new furniture. There is a small charge for this service which includes delivery costs. PLEASE NOTE THAT WE ARE UNABLE TO TAKE ANY FURNITURE DONATIONS UNTIL FURTHER NOTICE.